We specialized in Software Development, E-commerce applications, Web Designing, Web Development, Domain Registrations, Search Engine Optimization, and Social Media Marketing. We are a team of highly motivated designers and developers, dedicated to provide the best services available in the industry. Union minister Ravi Shankar Prasad says instances of lynching of innocent people have been noticed recently because of large number of irresponsible and explosive messages filled with rumours and provocations are being circulated on WhatsApp. The Minister for Electronics, IT, Law and Justice, Ravi Shankar Prasad on Wednesday said that multinational social media platforms are accountable for their use, misuse or abuse. He added that while companies such as WhatsApp are welcome to do business in India, they cannot vacate responsibility when their platforms are used to spread misinformation that results in criminal activities. The minister was speaking to journalists on the sidelines of an event in New Delhi. He referred to incidents of lynching based on fake news that circulated on WhatsApp. His ministry, in fact, came up with a press release a day before saying pretty much the same thing. "Instances of lynching of innocent people have been noticed recently because of large number of irresponsible and explosive messages filled with rumours and provocations are being circulated on WhatsApp. The unfortunate killing in many states such as Assam, Maharashtra, Karnataka, Tripura and west Bengals are deeply painful and regrettable," the release stated. 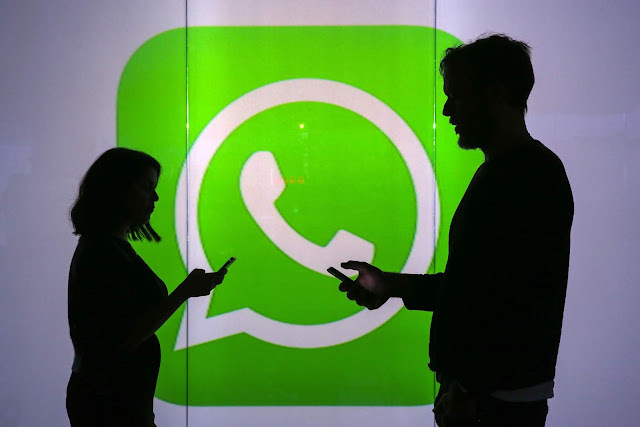 "While the Law and order machinery is taking steps to apprehend the culprits, the abuse of platform like WhatsApp for repeated circulation of such provocative content is equally a matter of deep concern. The Ministry of Electronics and Information Technology has taken serious note of these irresponsible messages and their circulation in such platforms. Deep disapproval of such developments has been conveyed to the senior management of the WhatsApp and they have been advised that necessary remedial measures should be taken to prevent proliferation of these fake and at times motivated/sensational messages. The government has also directed that spread of such messages should be immediately contained through the application of appropriate technology. It has also been pointed out that such platform cannot evade accountability and responsibility especially when good technological inventions are abused by some miscreants who resort to provocative messages which lead to spread of violence". The minister today said that WhatsApp has responded and has promised to use machine learning technology to identify misuse of its platform. The liability of social media platforms, nevertheless, is only a moral one - there is no legal basis. Sajan Poovayya, Senior Advocate at the Supreme Court of India and the High Court of Karnataka says that not just under Indian law, but under any mature legal jurisdiction, the liability of an intermediary amounts to nearly nothing. "An intermediary is someone who does not select the news, does not modify the news, does not select the viewer of the news, nor does it select the recipient of the news. If you satisfy these four conditions you become an intermediary on the Internet. Consequently, there is no liability," he says. The question of liability is in business only when a platform has been notified by the government or a governmental agency about a particular fake news being transmitted. "If they don't pull down the content despite the communication, or if they transmit further, that is when liability arises under the Information Technology Act," Poovayya says. Managing a school is not a child`s job. Student management system software has now become an integral part in the management of School’s daily activities. 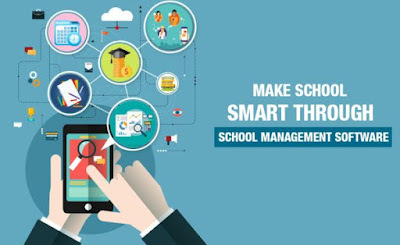 Over the past few years, school management software has transformed the way schools and educational institutions across the world function.Taking help of Smart school software, teachers can now confront this dilemma with lesser efforts. There are many other records also which can be be maintained. If books are used for maintaining records than they have to be preserved carefully year after year. They need space to be stored and they have to be protected from any water or fire hazards. Now when everything is going on in the computer, then these records also can be stored on the PC by using School ERP Software. Looking For Library Management System Software ? Get a chance to take the advantage of Library Management system Software with InventiveIT Services which provides you the useful tools to manage your library management system. Library management system is all about organizing, managing the library and library-oriented tasks. It also involves maintaining the database of entering new books and the record of books that have been retrieved or issued, with their respective dates. The main aim of this project is providing an easy to handle and automated library management system. This project also provides features and interface for maintaining librarian’s records, student’s history of issue and fines. Here is a list of some features of Library Management System which Inventive IT Services offer: 1. Keep record of different categories like; Books, Journals, Newspapers, Magazines, etc. 2. Classify the books subject wise. 3. Easy way to enter new books. 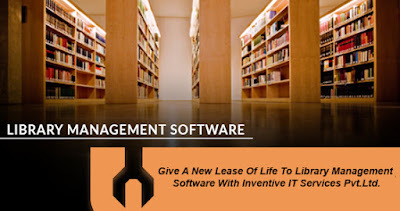 Give A New Lease Of Life To Library Management Software With Inventive IT Services Pvt.Ltd. Bad libraries build collections, Good libraries build services, Great libraries build communities. Library Management System is a software used to manages the catalog of a library. This helps to keep the records of whole transactions of the books available in the library. Libraries play an important part in the overall academic development of students. In schools and colleges it is sometimes a headache for the librarian to manage books, periodicals, issue library cards, stacking and categorizing books etc.